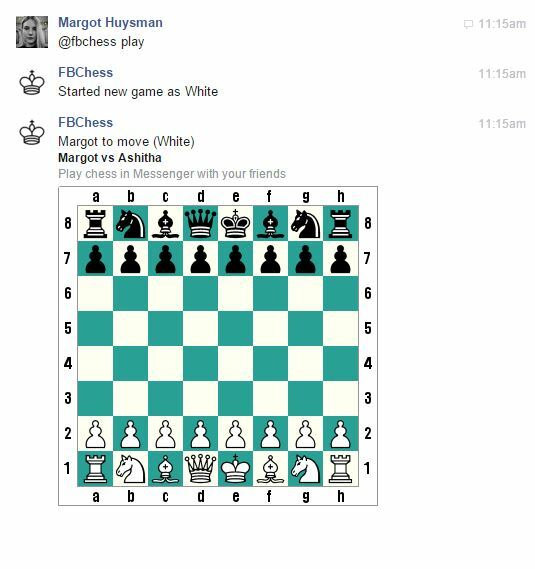 Did you know you could play chess with a friend directly in a Facebook chat window? All you need is a special phrase to launch the chess board and start playing. During a conversation, type @fbchess play and a board will appear. Your friend will go first. Select a piece using K for king, Q for queen, B for bishop, N for knight, R for rook, or P for pawn. Then add the letter and number representing the space you want to move it on the board. Sure there are tons of great/better chess games you can play online with your friends, but this built-in one is accessible to everyone you know on Facebook.